Public art is taken with energy, enthusiasm and seriousness in Brasil. 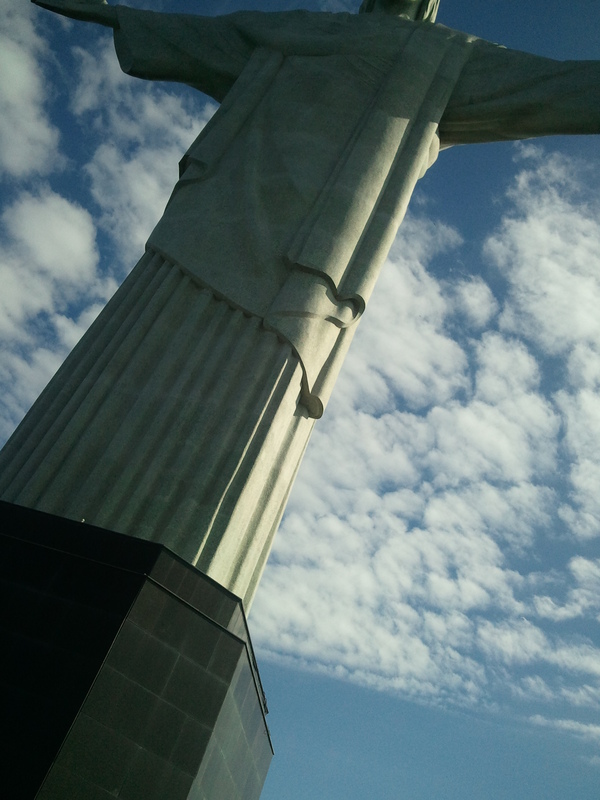 The statue above Rio of Cristo Redentor – the largest Art Deco sculpture in the world, complete with logo – is a case in point. 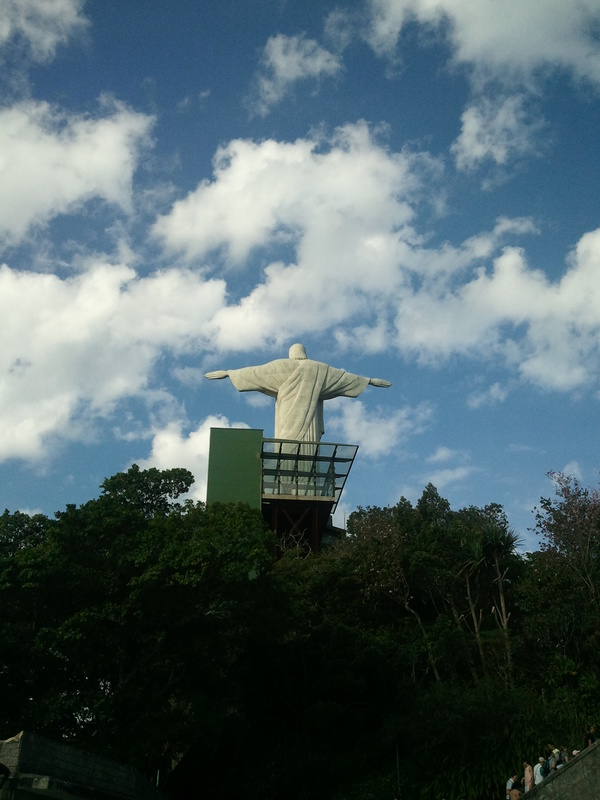 It’s an internationally recognised symbol for its city and country, and a huge tourist attraction. 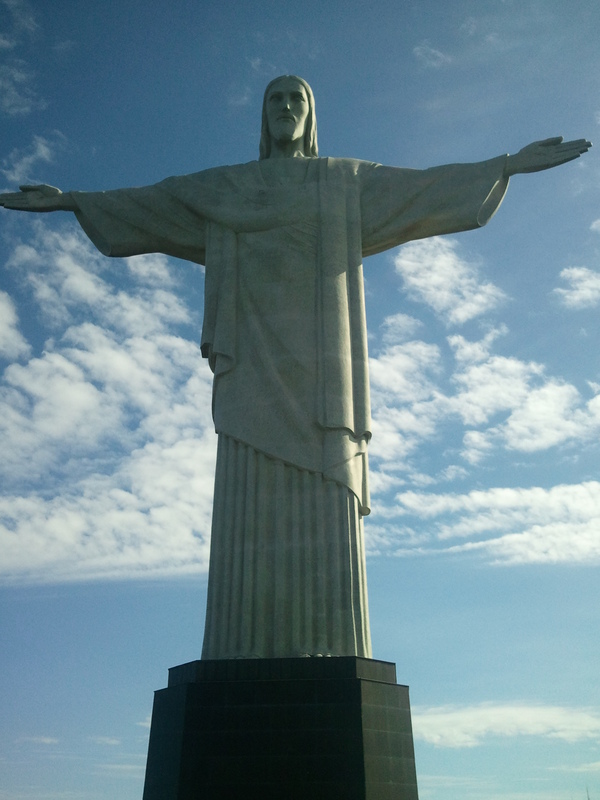 When you climb the steps or take the escalator to the top, after queuing, queuing and queuing again, the site is heaving with people, having their picture taken – especially with their arms spread wide in imitation – and taking in the view of Rio’s beautiful setting. It’s so big you may have to step right back to get it all in. Built on an armature of reinforced concrete, with a soapstone surface, it was designed in 1921 by a French sculptor and a French engineer, and took 10 years to complete. 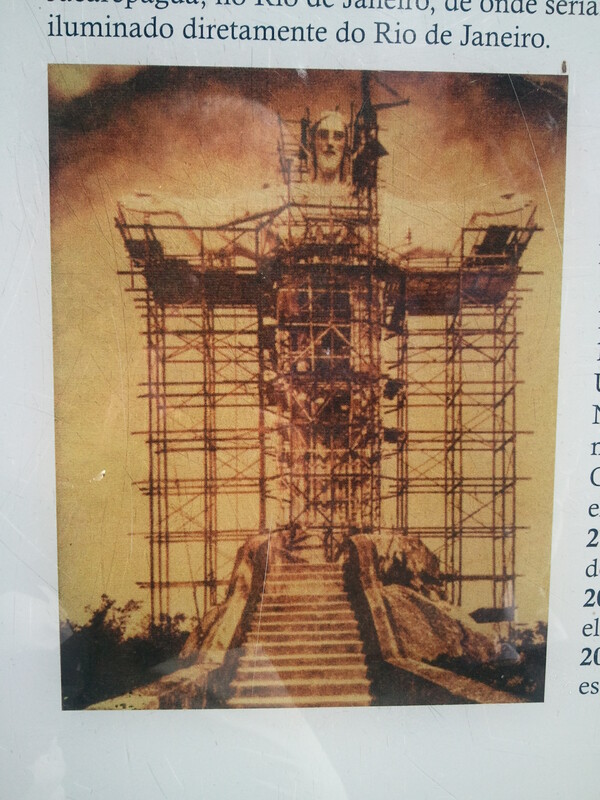 The Cristo underwent restoration in 2010 – the construction of escalators was controversial – as well as being sprayed with graffiti (called “a crime against the nation”) and being illuminated with the green and yellow of Brasil’s World Cup football team.Truly a national monument.